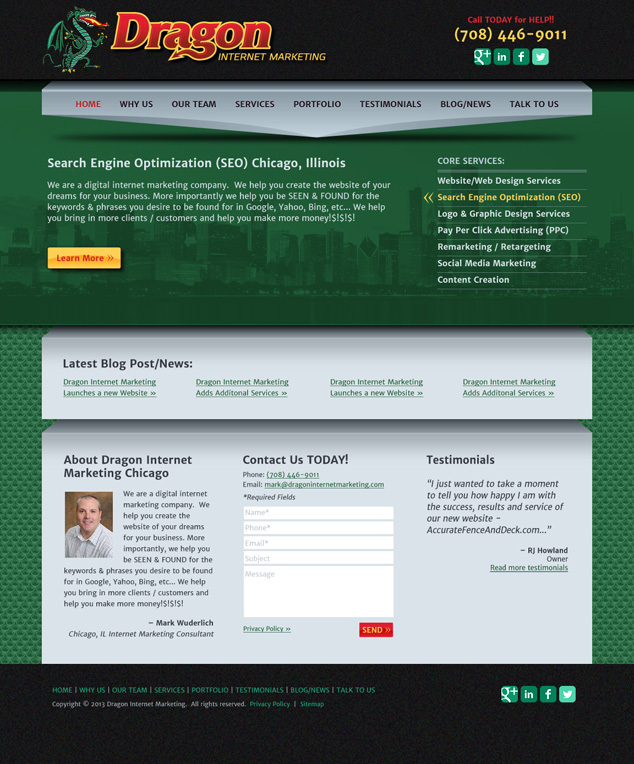 Visual Lure has recently teamed up with Dragon Internet Marketing out of Chicago, IL. They are an internet marketing company specializing in search engine optimization (SEO). Visual Lure will be providing their clients with logo design, graphic design, web design and web development services, so they can focus on marketing and SEO. We recently designed a new logo for them and are currently working on a new custom WordPress website. Below is the new logo design, and underneath that, are the new home and template pages for the website. 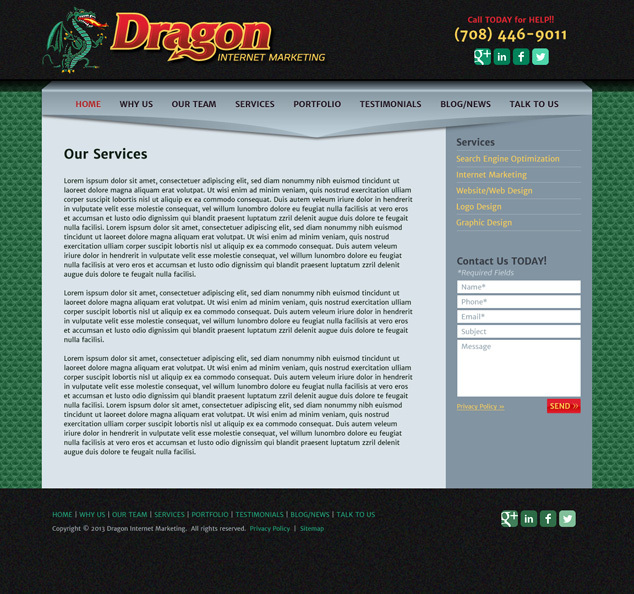 Check back soon for the launch of their new site, but in the meantime, check them out at DragonInternetMarketing.com. Learn more about our Word Press design and web design services, and don’t forget to check out our web design portfolio.